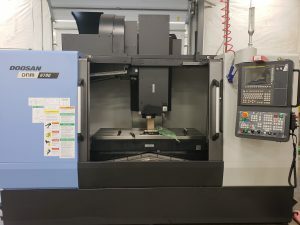 New and larger equipment - M&S Precision Machine Co.
On August 3rd we moved out the 1st CNC Milling Machine we ever bought. It has served us well and at 32 years old it still cuts like it is new. But it was time to replace it for our biggest Vertical Mill to date. 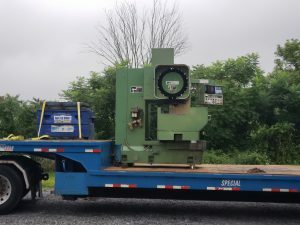 The new machine is a Doosan DNM6700 with travels of 51″ x 26″ x 24″. This make 6 Doosan Vertical Mills and 1 multi axis lathe. 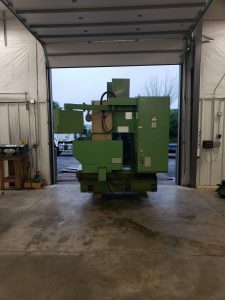 These machine are very fast and sturdy, and the company that we buy them from, Syracuse Supply is one of the best company’s we have ever worked with. They have both excellent sales and service.